I’ll tell you, this game is “always a lot of fun”!! 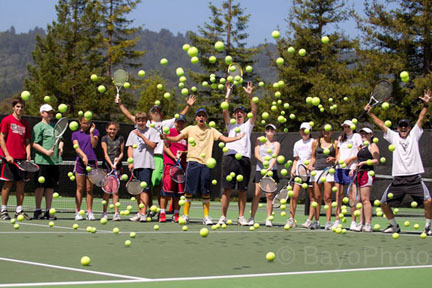 My longtime close friend tennis pro Celso Onofre invited me to join him along with another good friend pro Eric Barry for his Summer Camp last week, at Priory School where he coaches, in Portola Valley California. It was some awesome Non-Stop FUN!! I had a fantastic time, worked with a few players on the middle and high school boys’ & girls’ teams. Thanks for the invite Celso, it’s always unforgettable times together, cheers! !